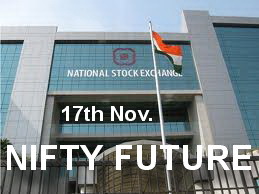 NIFTY (5030) - Posted on 02nd Nov. "this month probable low 5150-5050"
whereas yesterday it traded and closed below that also. Now yesterday low 4990 is crucial. In case, if trade and close below that also, then expect big down move that going to test recent low of 4760-4720. 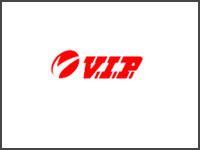 VIPIND (118.45) - Posted on 15th Nov. "Below 140, down target and bottom out at 118-113" as posted yesterday it attacked down target (made low 109.30) and it seems bottomed out. Now expect relief rally upto 140-144. SINTEX (90.65) - On 18th Aug. Posted here "Below 138-135, down side target 92_81" After this post. it closed below 135 on 30th Sep only and yesterday it came down to the mentioned down target level (made low 87.25). But in case if it not take support here then fall continue to 68_58. Note : Don't think any thing cheap becuase of its fall or any thing costly because of its rise. it does not matter. In stock market,Price and Levels only matters. EDUCOMP (192) - As posted on 14th Nov. "below 238 it attacked the mentioned down target 205 and yesterday even it broken the recent low also. And trade below 165-155 Next ultimate down target 98.